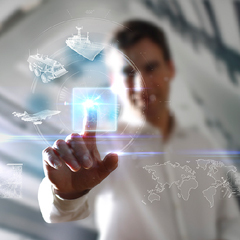 Specialists in IT systems for security-critical and complex applications, ESG’s broad portfolio ranges from bespoke military command & control systems (C4I) to IT solutions for logistic support. ESG’s TARANIS® solution suite is designed to provide Network-Enabled Capabilities within both military and peace-keeping operations as well as for emergency services and crisis management. TARANIS® Theatre is a strategic command & control system for command authorities at home and abroad, designed for use in fixed command centres. 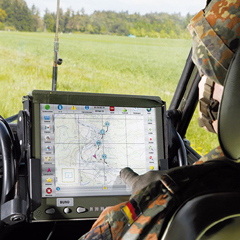 A highly flexible solution for battle management, TARANIS® Battlefield is used in mobile command posts as well as in military vehicles. 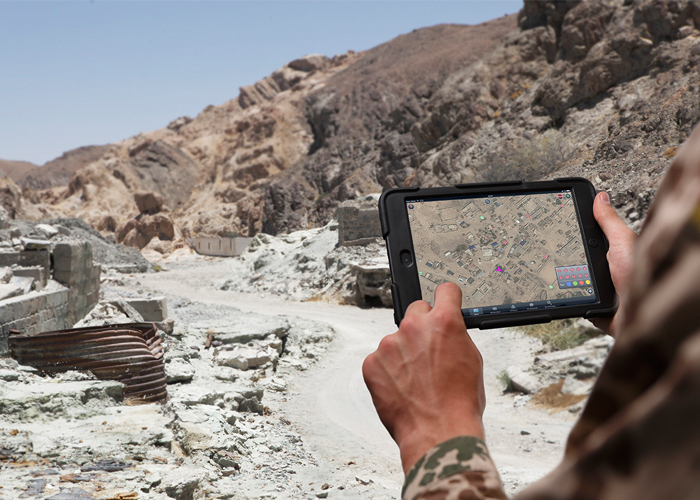 For dismounted forces, TARANIS® Soldier provides command & control capabilities as a highly mobile application on smartphones and tablets.